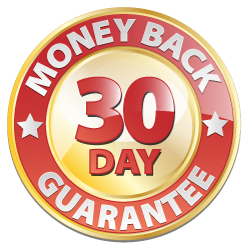 In fact we’re so confident that you will absolutely love Video Deal Pages, but just in case there’s the remotest possibility you don’t agree, we are offering a 30-Day, no questions asked, no aggravation money-back guarantee… So Why Not Get Started Today! How Many Deal Pages Can I Create? UNLIMITED. You can create as many pages as you like and they will be hosted by us at no extra charge! This is why it's so important to get in now while the price is one-time for lifetime usage! If you’re not happy with Video Deal Pages, we don’t want your money. You get 30 days to try out the platform. If you’re not satisfied, just let us know and we’ll send you a refund. Where Can I Get Support If I Need It? Please send us a message any time at support [at] myherodesign.com. "We're just getting started with Video Deal Pages so right now we don't have any testimonials. Become an 'Early Adopter' now and get your testimonial here!"